My son is a huge fan of the show, Adventure Time. So when we received The Enchiridion, he was really excited to watch it from beginning to end and he did. He got to have one of his best friends sleep over and they watched the entire DVD from beginning to end. All I heard was laughter coming from the room where the boys were. After they were done they told me they thought all of the episodes were pretty awesome and they wish they could go on an adventure as well. Definitely a great DVD to have for anyone that's a fan of the television series. With 16 episodes and over two hours, you'll enjoy this latest DVD installment. 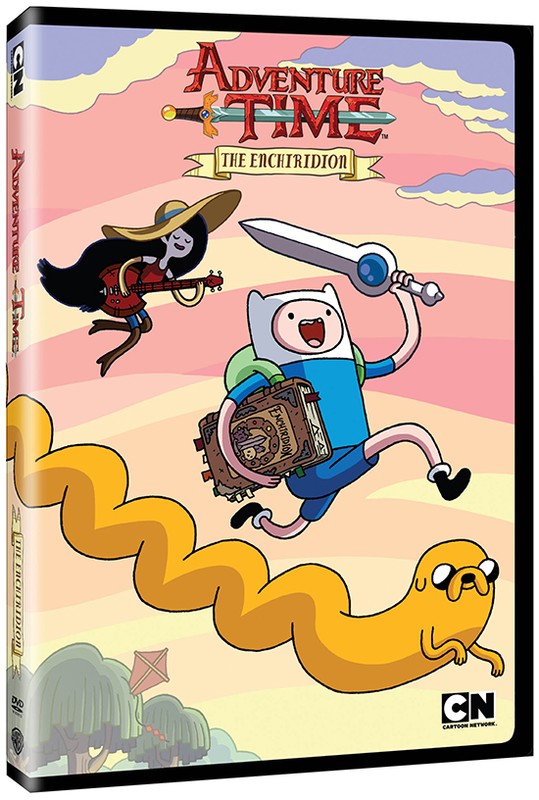 Now available, Adventure Time: The Enchiridion is retailed for $19.82. Disclosure: All opinions are my own. I received Adventure Time: The Enchiridion on DVD at no cost for the purpose of this review. No other compensation was received.